The Bank for International Settlements has halved a proposed increase in capital requirements for trading assets. Lenders’ cheer may be short-lived. Banks still have to comply with tougher rules on credit risk and face increased scrutiny of their leverage ratios. William Coen, General Secretary of the Basel Committee on Banking Supervision, December 7, 2017. Revisions to global rules for banks’ trading books will result in a halving of the extra capital needed from January 2022 to cover risks from market price swings, the Basel Committee said on Jan. 14. Banks had lobbied heavily to persuade the Swiss-based group of banking supervisors from the world's main central banks to water down the original plans for new capital requirements for trading books. The new rules will mean an average increase of about 22 percent in total market risk capital requirements for banks compared with existing rules. A framework published in 2016 would have resulted in a 40 percent hike. The bulk of a bank's capital requirements cover credit risk, while market risk capital is far lower, at about 5 percent of the total. Basel revised its market risk capital rules after getting better data from banks so that regulators could ease the initially conservative approach they took in the draft rules. 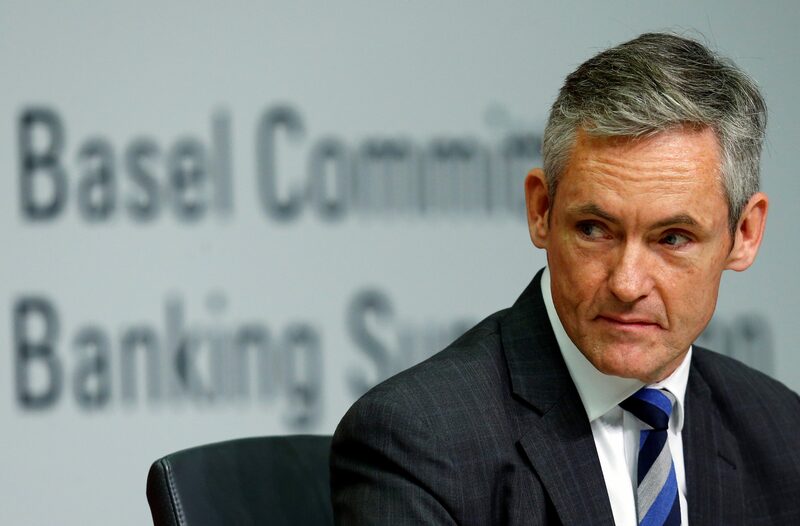 Basel Committee Secretary General William Coen said last April that regulators were being left with only a small sample of observations to make revisions.